For Ansel Adams' 108th birthday, The Ansel Adams Gallery celebrates the life of a legend with videos and interviews from SilberStudios.tv. Ansel Adams, who would have turned 108 on February 20, is still regarded as one of the most influential photographers in American history. His iconic black-and-white photos have inspired countless young photographers to pick up their cameras and capture their own images of nature, and his birthday is a chance to teach a new generation about the life of a legend. 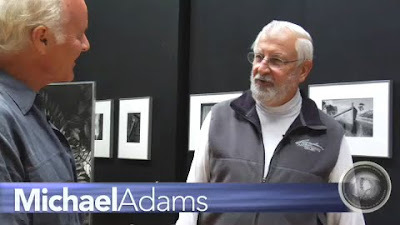 In the videos (which can be seen at www.anseladams.com/content/ansel_info/anseladamsvideos.html), Marc Silber travels to Ansel Adams' actual home to interview his son, Michael Adams. Viewers are then treated to an intimate tour and discussion of Ansel's personal gallery, as well as the darkroom where he processed many of his most famous images.